Behind The Nickname #7: Choi 'Polt' Seong Hun. TrAiDoS: For the first part of the interview, I would like to talk a bit about your life. How is life for you at the moment? Polt: It is really good. I'm enjoying what I can do right now. TrAiDoS: Please take us through a day of Polt. Do you have a daily routine? Polt: I usually practice, eat, and watch something. I have a full lazy day from time to time. TrAiDoS: What did you study in Korea and what do you study in the USA? When will you most likely be finished with studying? Polt: I studied animal biotech in Korea, and I studied ESL(english as a second language) in the USA. I don't know when I will be finished with studying because I always want to study new things. TrAiDoS: What will you do after you finished your studies? Polt: I will get a job, or I might study further. TrAiDoS: Do you want to work in the eSports scene or somewhere else? Polt: I'm not sure. I will figure it out later when I retire. TrAiDoS: How is your life in the USA compared to life in Korea? Can you please name 3 things you like and dislike about the USA? Polt: Life in the USA is generally easier. I like food, people, and malls, but I dislike public transportation, distance, and shower in the USA. Polt: The shower in the USA is not movable. TrAiDoS: What was the craziest thing you have ever done? Polt: To decide to be a progamer when I was about to finish my school. TrAiDoS: What does „loneliness” mean to you? Polt: I rarely feel lonely. I might feel that if there is no one I know in the world. TrAiDoS: Please tell us something nobody knows about you. Polt: I am extremely lazy, and I can sleep anywhere for so long. TrAiDoS: What would make your life better? TrAiDoS: What really annoys you the most? Why? Polt: Nothing much can annoy me. Probably I get annoyed the most when I see people being immoral. TrAiDoS: Now I would like to focus more on your pro-gaming life. How and when did you come up with the name „Polt”? Does it have a special meaning? Is there a story behind it? Polt: It's a character's name came from a game I used to play when I was younger. TrAiDoS: Which goal(s) to you have as a pro-gamer? Polt: I just want to be remembered to everyone even after I retire. TrAiDoS: How do you train most of the time? Polt: I put a lot of time on figuring what actions are most efficient at certain points. TrAiDoS: So, do you play more (ladder or custom games) or do you watch replays? Polt: It depends on which skill I am lacking in. I play more when I feel like my mechanic is not decent, I watch replays more otherwise. TrAiDoS: How can you be a full time student and still be that good at the game? Polt: I think it's possible because I study intermittently. I can't be good at both if I study for like more than 3 years. TrAiDoS: Which person in eSports do you respect the most and why? Polt: I respect myself the most. Every other person is different from me, so it's very difficult to respect someone else. TrAiDoS: What do you like the most about the eSports scene? If you could, what would you change about it? Polt: I like enthusiastic fans the most. I want people's perspective about eSports to be changed, but it'll happen in anytime soon. Thus, there is nothing I want to change. TrAiDoS: Where do you see the biggest problem in eSports? Polt: Since eSports since is kind of new, there are many people who are immature. TrAiDoS: Did you play some LotV yet? If so, what do you think about it? How is the balance in your opinion? What do you wish for LotV? Polt: No, I haven't played LotV yet. I just wish LotV is fun to play and watch. If you were a ghost and you could help and annoy one person. Who would you help and who would you annoy? How would you do it and why? Polt: I will help a player who lost to me the most times, and I will annoy a player who beat me in the finals. I don't know how I can do it because I don't want to do anything illegal. TrAiDoS: Let's say you have the super power to make it rain. How would you do good things to the humanity and how would you precipitate us into ruin? Polt: I personally hate raining weather, so I will only use it to help farmers. Maybe I could ruin the ground if I get too lazy to use the super power. Polt: What do you mean about girls??? TrAiDoS: Like, do you have a girlfriend or do you have any problems with girls in general? Polt: I don't have any problems with girls in general. TrAiDoS: Let's say we're in 2035, at the airport, and you have a son who is about to go to Korea to live there and become a pro-gamer in StarCraft IV. What would be the most useless advice you, the loving father, could give to your son as he enters the plane? TrAiDoS: Aaawww, but that's not really a useless advice. What would you say to him to troll him in this situation? Polt: I think it is very useless. TrAiDoS: Let us go back to the girls one more time please. How do you hit on girls at university parties? Polt: I don't need to do that because girls hit on me. TrAiDoS: Imagine you are the hotdog mafia king of LA. What would you do to keep and build up your position of power? 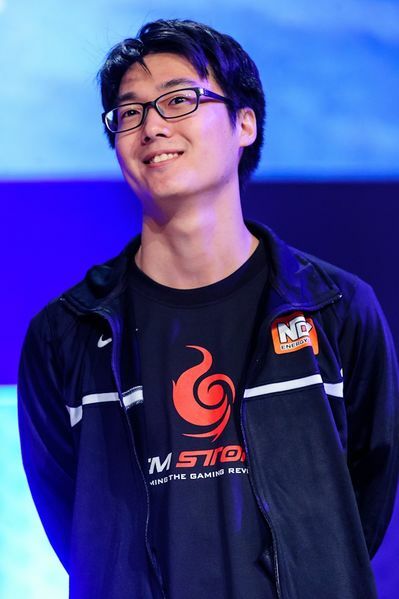 Polt: I will kill everyone but myself. Big big thanks to Polt for taking the time to answer the questions. Make sure to follow him on Twitter CMStormPolt. Don't forget to follow me as well on Twitter for more interviews and eSports content, I am @TrAiDoS_. I hope you guys liked the interview. Don't forget to check out the other interviews of the series I did so far (down below). I get the feeling Polt was a little annoyed by the quirky questions at the end of the interview lol. No, I felt like he was not really sure about some of the questions (intention and what I tried to achieve with them). We also did the interview over a longer period of time since he was very busy and I was too. "TrAiDoS: Let us go back to the girls one more time please. Polt: I don't need to do that because girls hit on me." Polt has always been a cool guy. Great answers. Does anyone know what game he's referring to? Don't worry Polt. No one will forget you. And gosh I won't ever forget that biomech build vs Classic on Overgrowth, damn I was jumping on my chair, that was freakin amazing !!! can you do more follow-up questions next time? which game is polt out of? how often does he have a full lazy day? what does he do in that lazy day? etc. Hi, thanks for the feedback (also to the other guys). :-) I'll try to ask more follow-up questions, even tho it is not that easy to handle to.